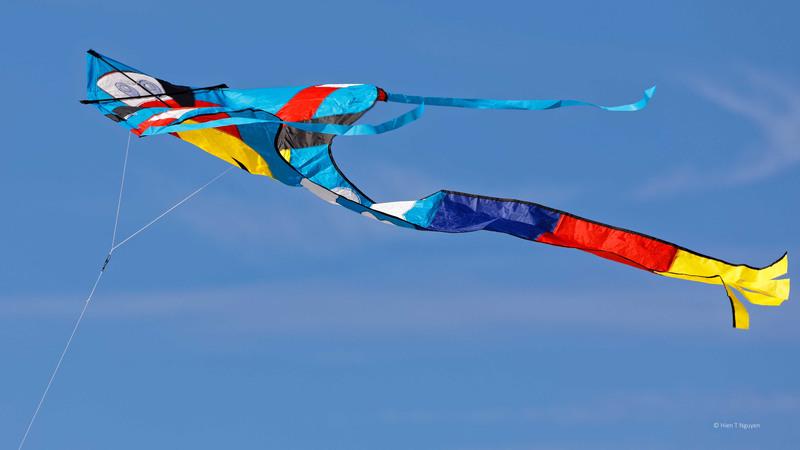 The Long Beach Island International Kite Festival is being held over four days this weekend in Ship Bottom, NJ. I went there today to look for colorful kites and there were quite a few. This is the sight that greeted me once I climbed over the dunes and looked down on the beach. 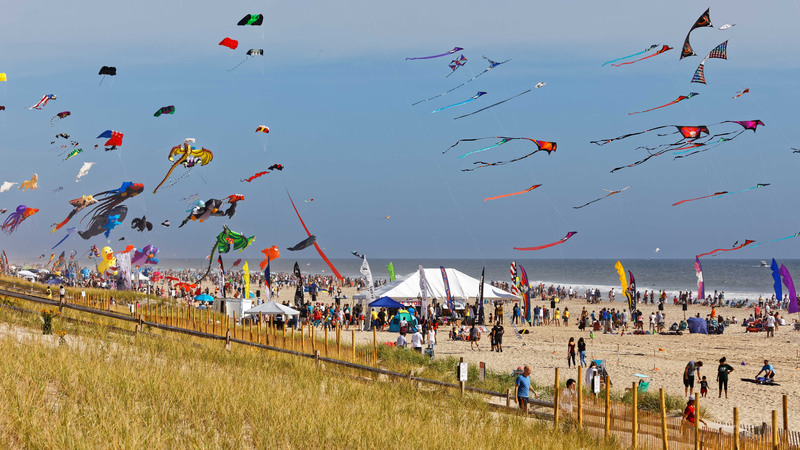 Long Beach Island International Kite Festival. 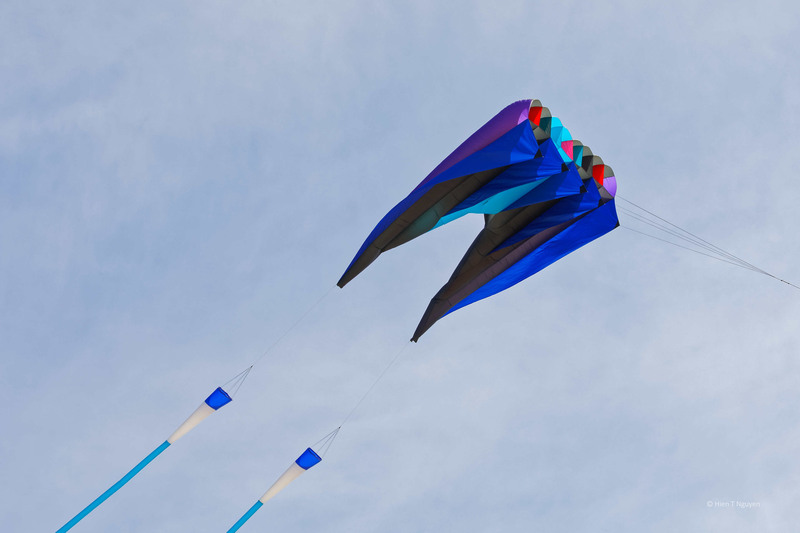 Kites now come in fancy shapes and sizes, unlike those I made as a kid, out of two bamboo sticks and some translucent paper glued to them. Kites at Long Beach Island International Kite Festival. Kite at Long Beach Island International Kite Festival. Kites resting at Long Beach Island International Kite Festival. It’s fun to see all the different types, and I’m glad kite-flying is more popular in the US. The kites on the beach at rest look just like butterflies on the ground. 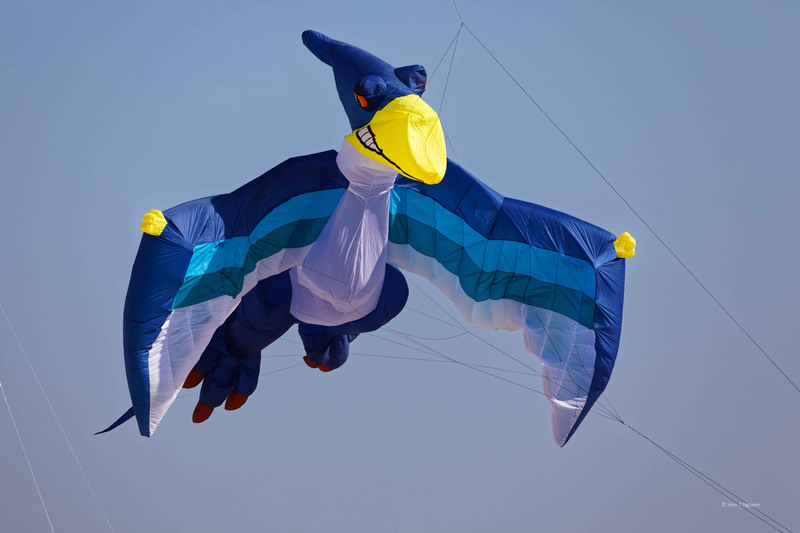 And there are more images of kites that I have not posted, not wanting to overburden the post! Beautiful pictures! So much creativity in the design of the kites. Thanks Tiny. 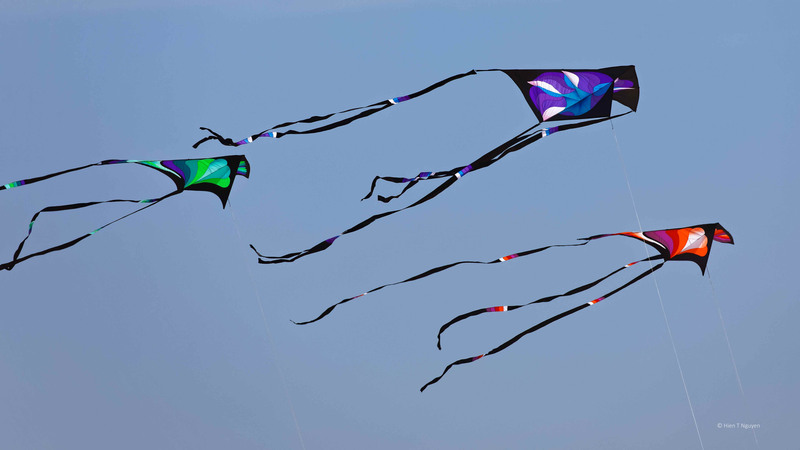 You are absolutely right about those kite designs! Yes, it had many vivid colors, all fluttering in the wind high above the beach. Ha, ha! That was one of the biggest kites, very easy to photograph, unlike some of our avian friends. 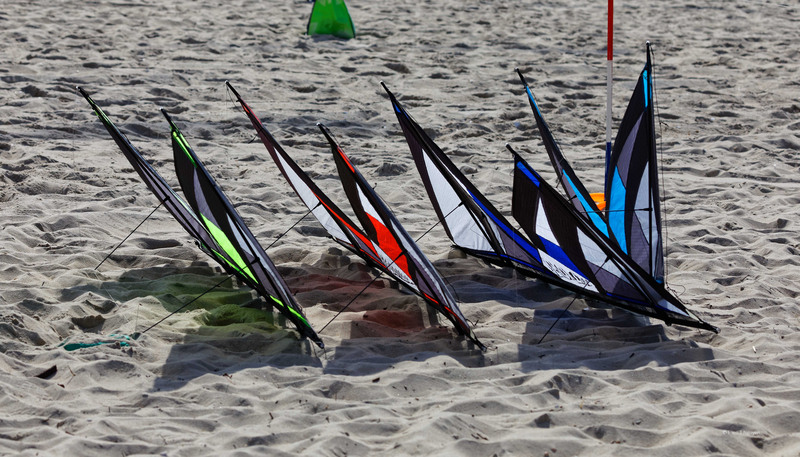 Amazing assortment of kites. Yes, quite a difference from the kites of our youth. 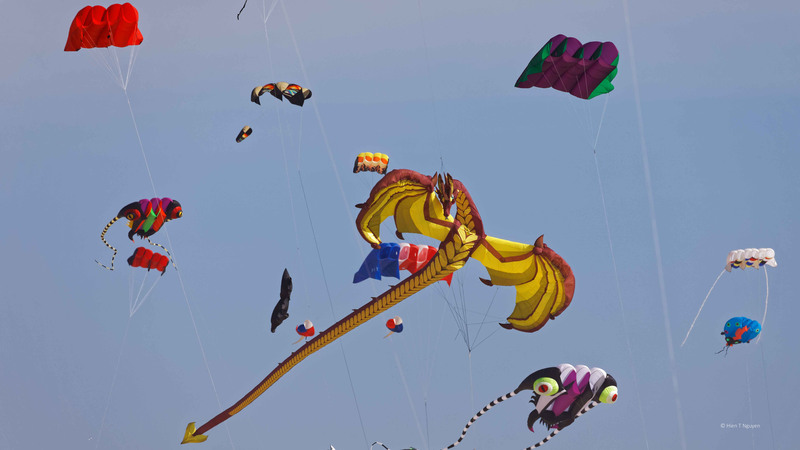 Wow, that must have been wonderful to see so many different kites. I love the gold dragon! Looks like the weather was perfect. Eliza, the weather was perfect, only a little bit too warm. Everyone seemed to have a good time, and the kites surely helped the mood. You are probably tired of hearing it, but your pictures are amazing. You are an inspiration for someone like me. Thank you. You are doing very well on your blog! 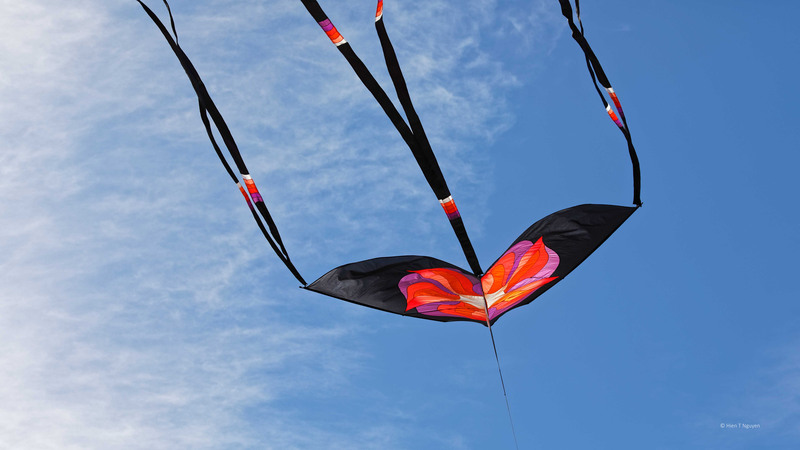 I fly dual-line stunt kites… which do all kinds of tricks (with much practice)! 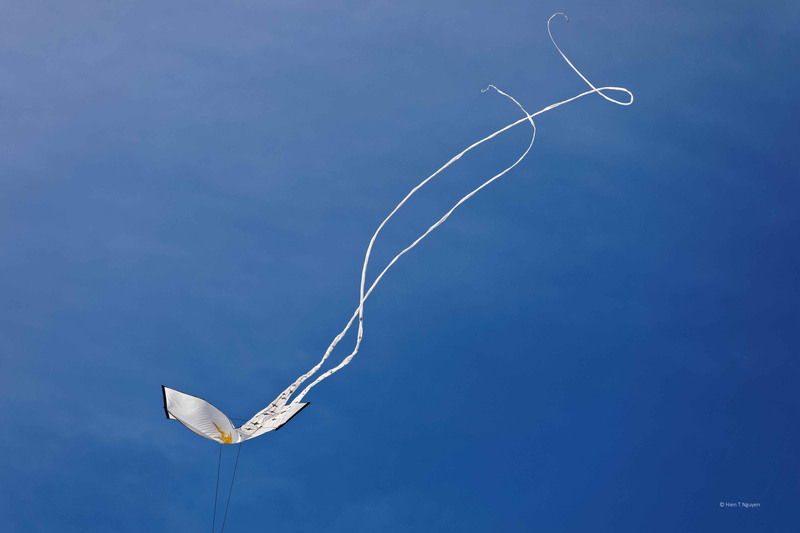 You will have to get someone to photograph you flying a kite, or maybe you already have. 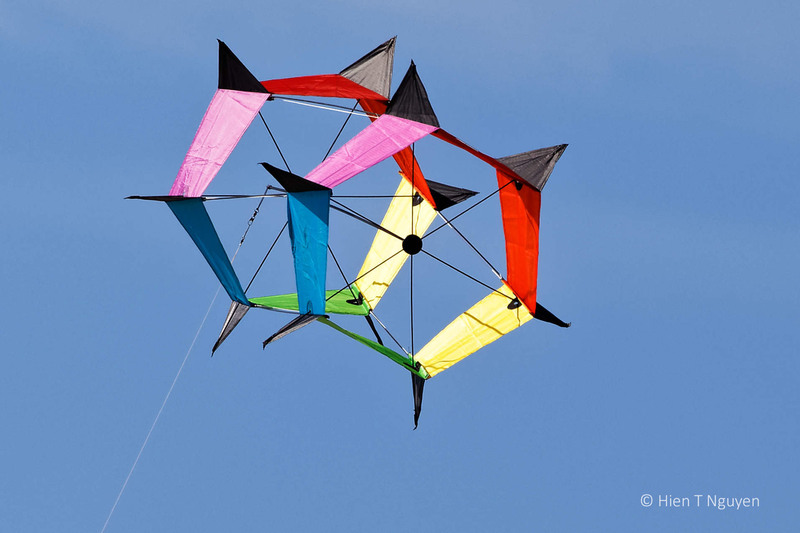 Awesome, colorful kites! Not like the ones I had as a kid, either.